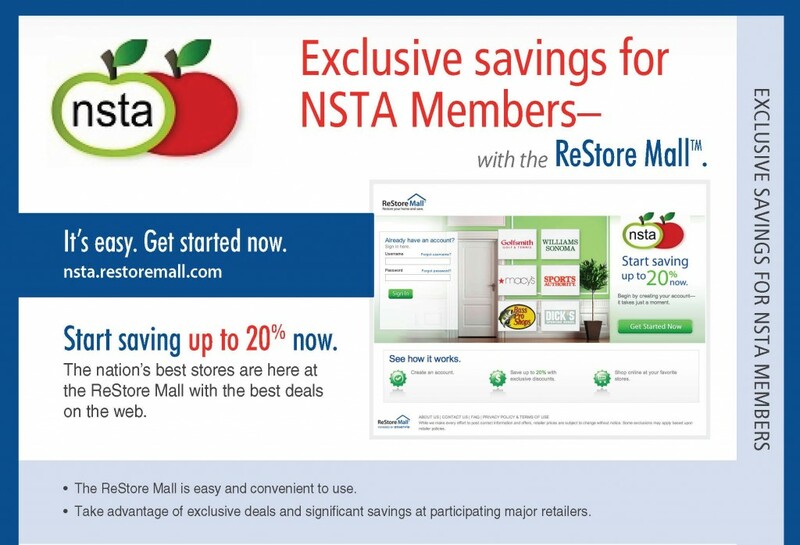 In cooperation with the Enservio Corporation’s ReStore Mall, NSTA members will be eligible for substantial discounts at the stores where we already shop. Macys, Target, Sears are included as well as smaller more specific interest retailers such as Sierra Trading Post and Bath and Body Works. With this new program you will even receive a 30% discount from Angie’s List. Newcomers are always welcome in NSTA and you can join on line by going to our web site NSTAsubs.com and fill out the membership application. Over the next few days you will be receiving an enrollment email which will provide you direction on how to sign up for the mall. Once you establish your account you can start saving anytime.